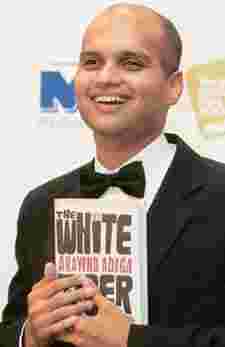 Mumbai: On Tuesday evening, soon after the Booker Prize Foundation announced that this year’s Man Booker Prize had gone to Aravind Adiga’s The White Tiger, Michael Portillo, the chairman of the judges panel, said Adiga’s book won because it portrayed “India’s dark side". “For many of us, this is entirely new territory." Adiga declined to comment on his book or his contenders and responded to Mint’s request for an interview saying, “I’m absolutely thrilled to have won the Man Booker Prize. I’d like to thank my publishers, HarperCollins India, as well as all the various reviewers, critics and editors who have supported the novel. I hope The White Tiger continues to provoke and delight readers throughout Mumbai—and the rest of India." Adiga is the fourth Indian to win the Booker. His predecessors—Salman Rushdie in Midnight’s Children (1981), Arundhati Roy in The God of Small Things (1997) and Kiran Desai in The Inheritance of Loss (2006)—too tackled various facets of independent India beyond its globalized façade in their novels. Balram, the protagonist in The White Tiger, is a cynical, hardened, scheming villager who rises above the circumstances of his low caste and poverty by murdering his employer in the big city. Before Balram moves to Delhi in search of wealth, he lives in Laxmangarh, a fictional village somewhere in the Indian hinterland, replete with greedy landlords, hapless villagers reconciled to their plight and malnourished children with eyes that shine “like the guilty conscience of the government of India". Adiga’s hero, a villain in the conventional sense, eventually gives out the message that in the new India, if you are a denizen of “the darkness", you have only one way to change your destiny: Blur the lines between right and wrong in your mind. Balram’s story is told through impassioned, often hyperbolic, letters that he writes to the Chinese premier Wen Jiabao. HarperCollins was quick to identify the book’s potential. Krishan Chopra, publisher and chief editor for HarperCollins India, says: “If one were to give just one reason why we decided to publish the book, it would be its startling originality and perspective on the new India. It is also a book that can draw in any reader, even somebody who is not into ‘literary’ fiction." The publishers were aggressive with their pre-release publicity for The White Tiger. They collaborated with news channel CNN-IBN for a TV commercial that was aired 15 days prior to the release. A short animated film, it showed a world-weary man from the village entering Delhi suburb Gurgaon and getting into an orange-coloured taxi that also appears on the book’s original cover. “We also followed it up with print ads and life-size cut-outs in bookstores," says Lipika Bhushan, marketing manager, HarperCollins India. The book arrived in the bookstores propelled by that hype. Sivaraman Balakrishnan, deputy marketing manager, Crossword Bookstores, says: “From April to May 2008, it hovered between No. 4 and 6 in the Top 10 best-seller list of Crossword, but after May till September, it plunged to the No. 11-20 list. After the Booker shortlist was announced in September, it came back to the Top 10 list." As of Monday, The White Tiger was at No. 7 in the Crossword list. The Booker will likely be a turning point for the fortunes and popularity of 34-year-old Adiga. HarperCollins India and bookstores in major Indian cities have already devised ways to cash in on the author’s new-found fame. The official sales figure of HarperCollins India is 20,000 copies (sold in the first four months of the book’s release, for Rs395 each), which makes the book a best-seller. “Currently, there are 20,000 copies out in the market and we are targeting 100,000 copies by the end of this fiscal year," says Bhushan. Says Madhu M., category head, books, Landmark: “We sold around 1,000-plus copies since April, and last night after the Booker Prize was announced, ordered 5,000-plus copies." The combined figures of copies sold at Crossword outlets across India since April is 3,200. Adiga was one of two Indian writers nominated for the award, which is given to the best work of fiction by an author from the Commonwealth or the Republic of Ireland, alongside Amitav Ghosh for Sea of Poppies. The other shortlisted authors were Australia’s Steve Toltz for A Fraction of the Whole, Ireland’s Sebastian Barry for The Secret Scripture and British writers Linda Grant and Philip Hensher for The Clothes on Their Backs and The Northern Clemency, respectively. Although Adiga’s book had gained a lot of momentum in the months leading up to the Booker shortlist with reviews and other kinds of publicity in the Western press, this year’s favourite was Barry’s The Secret Scripture. Other recent Booker surprises have been Irishman John Banville’s The Sea in 2005, Yann Martel’s Life of Pi in 2002 and J.M. Coetzee’s second Booker win with Disgrace in 1999, all of which went on to cross the one-million-copies-in-sales figure in the year following the award.